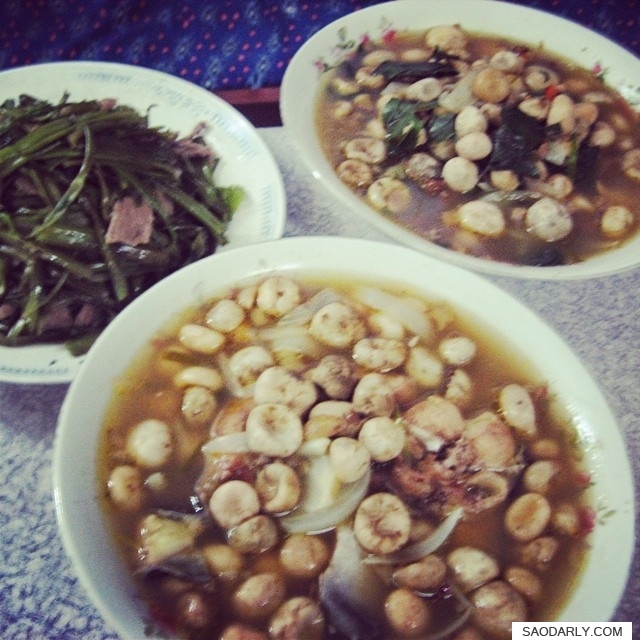 Fish and Mushroom Soup with Stir Fry Water Spinach and Pork (Khua Phak Bong) for dinner in Vientiane, Laos. I don’t know the name of this type of mushroom in the English language. It is called Hed Phor in Lao language. 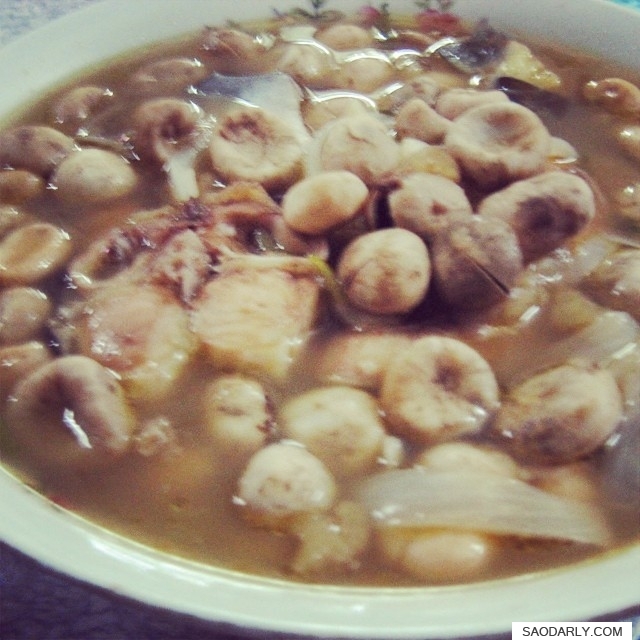 I love to eat this mushroom as a little kid living in Vientiane, Laos. 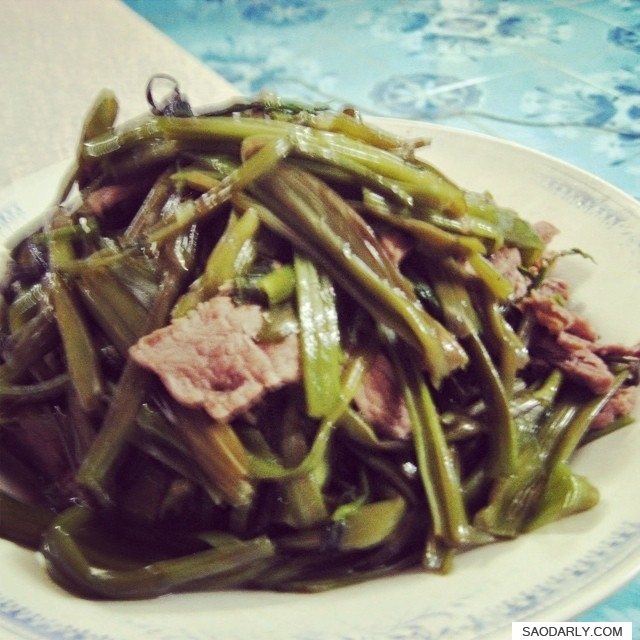 My mother often added in Bamboo Shoot Soup or made a soup out of it with fish. The mushroom doesn’t look pretty but very delicious with its juice pops out when you take a bite.